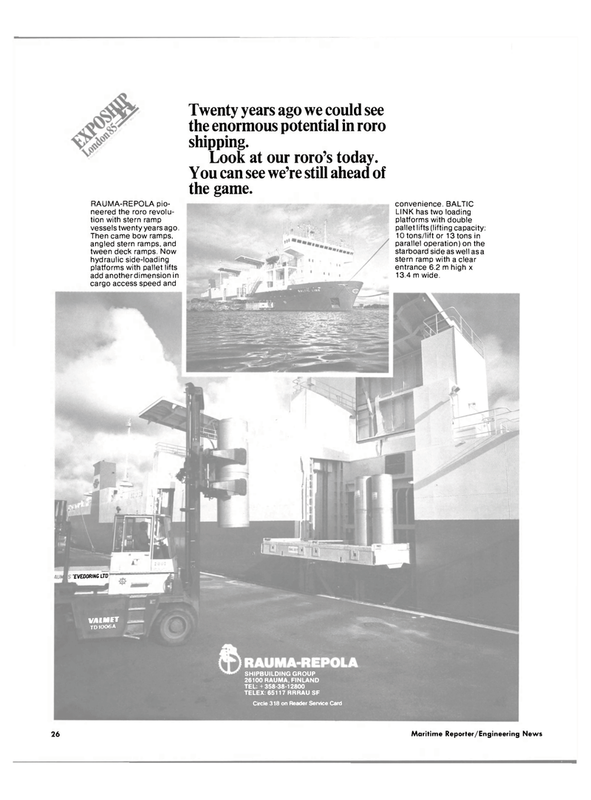 Twenty years ago we could see the enormous potential in roro shipping. Look at our roro's today. RAUMA-REPOLA pio- neered the roro revolu- tion with stern ramp vessels twenty years ago. LINK has two loading platforms with double pallet lifts (lifting capacity: 10 tons/lift or 13 tons in parallel operation) on the starboard side as well as a stern ramp with a clear entrance 6.2 m high x 13.4 m wide.